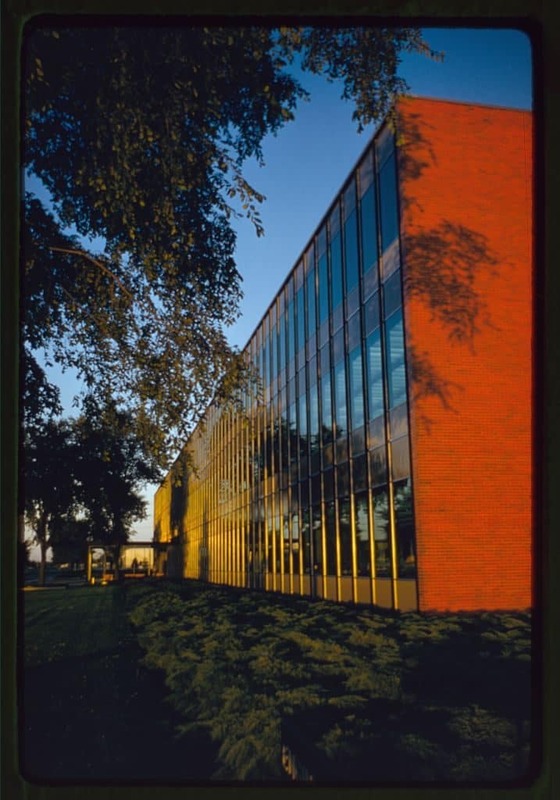 Situated in Warren, Michigan, just north of Detroit, the GM Technical Center has served as the heart of General Motor’s engineering research since it was finished in 1956. 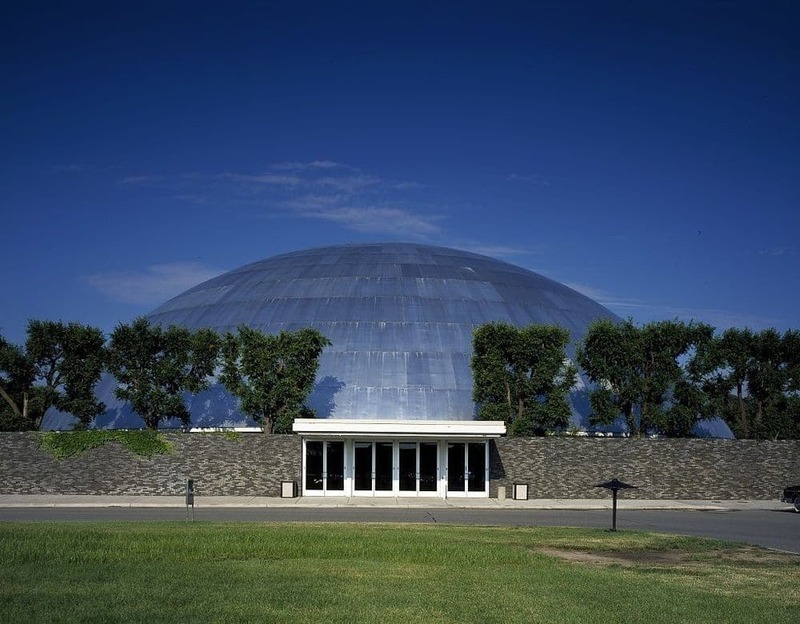 Built by the great mid-century modernist architect Eero Saarinen, along with his son Eliel, Life magazine hailed it as the “Versailles of Industry” when it was unveiled. Indeed, like the mid-century style more generally, it captures a high point in the fusion between American dynamism and modernist style. 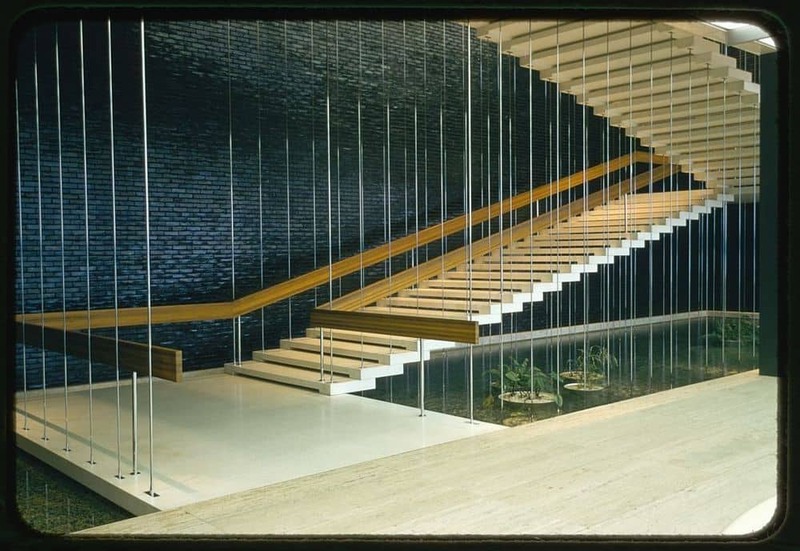 With the GM engineering expertise at their disposal, Saarinen was able to feature pioneering sustainable building technologies in their design, such as heat absorbing green tinted glass and leak-proof, neoprene-gasketed insulation strips under the façade, developed by GM engineers. 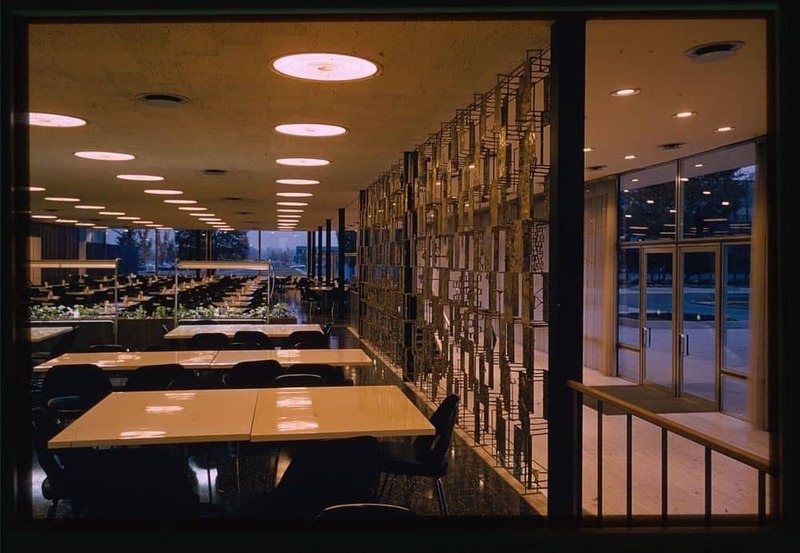 But besides utilising the engineering expertise, Saarinen was also able to make a very striking design that truly captured the needs of the buildings’ users. 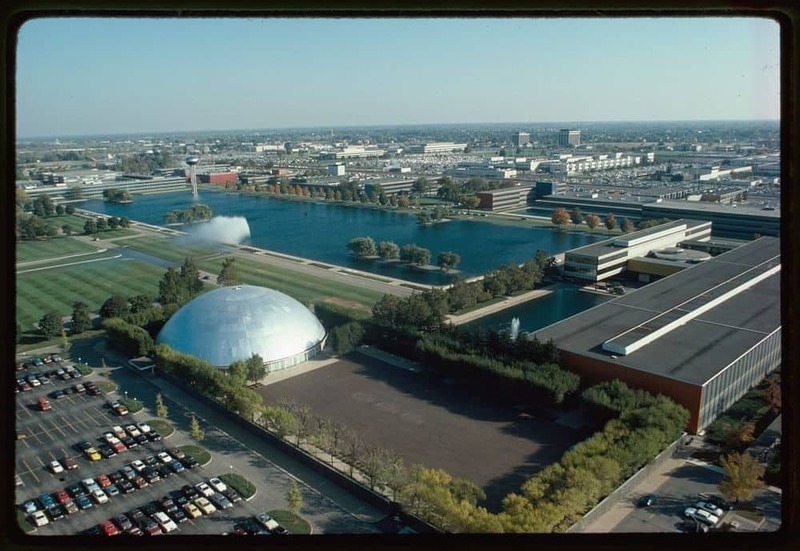 As with the IBM Bell Labs, also recently covered, the layout encouraged open movement and collaboration and all round atmosphere that brought together the thousands of engineers and other employees working there. It was also a beautiful place to work. 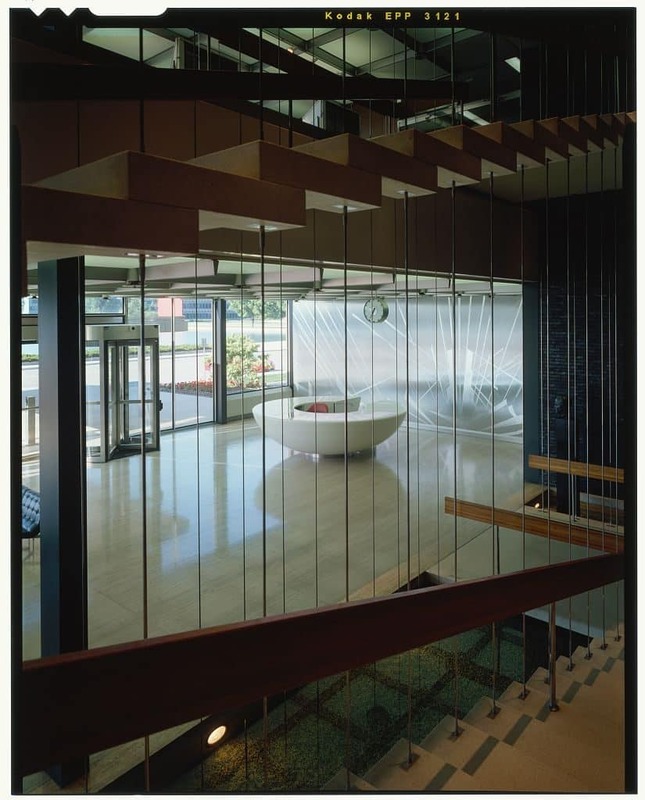 To mention just a few of the aesthetic features: each lobby of the complex’s four major buildings houses a spectacular hanging staircase as its focal point, with Norwegian granite stairs suspended by steel suspension rods; in addition, ceramic bricks glazed in a range of colour tones, from burnt orange to ultramarine, lend a modest vibrancy to the building’s overall visual appearance; and perhaps most distinctive, holding the whole site together is a twenty-two-acre rectangular lake, on one corner of which, rising 138 feet stands a futuristic water tower, while on the other side sits the famous aluminium clad Design Dome. Above all else in the design, the 185-foot-diameter, 65-foot-tall Design Dome represents this coming together of modernism and dynamism. With a continuous lighted, convex ceiling, objects inside the dome cast no shadow so that the contours of the company’s car designs could be evaluated. Cars are still evaluated by the company using the dome. After being listed in the National Register of Historic Places in 2000 and in 2014 designated a National Historic Landmark, a $1 billion transformation is currently being carried out on the building. 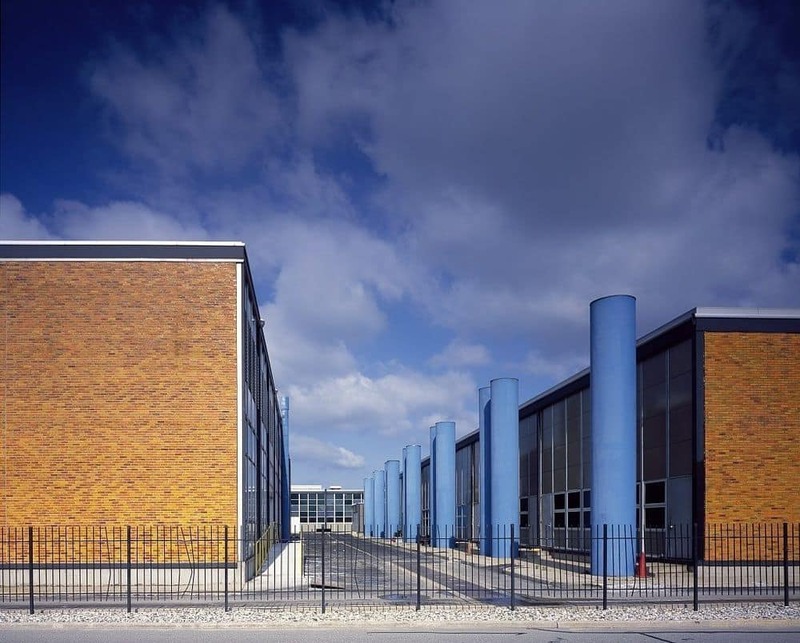 It is testament to the quality of the design that it is still being used and still being lauded for a forward-thinking design that clearly captures the needs of the engineers that continue to use the building. Indeed, a Detroit News article covering the renovation could just as easily be praising a trendy start-up’s cutting edge take on the typical office design: “Inside one of General Motors Co.’s new Service Engineering Building you don’t find any ‘cubicle farms’… Instead you see open spaces, lots of light, workers seated at long tables or at standing-height tables or gathered with a colleague, sitting in lounge chairs”. JOIN OUR FREE MAILING LIST, NOW!